The darkly comic musings of a deeply thoughtful rodent—the perfect gift for pet lovers and anguished existentialists of all ages. Edward is a hamster—yet he contains multitudes. Trapped in a cage with a wheel that taunts him with its meaninglessness, Edward records the existential ennui that is the sum of his short life. His diary is an extraordinary work, filled with profound meditations on the nature of captivity, the emptiness of life, and the irrational will to live. This dark, pithy, irresistibly witty diary, with illustrations by acclaimed artist Miriam Elia, makes the perfect gift for anyone on your holiday list. 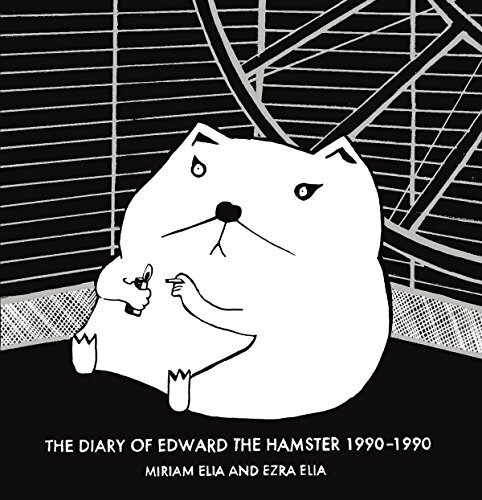 It won’t take long before readers recognize that Edward is not just a hamster—he is a state of mind. If you have any questions about this product by Blue Rider Press a Member of Penguin Group U, contact us by completing and submitting the form below. If you are looking for a specif part number, please include it with your message.